Ten years have passed since the 2007/08 global financial crisis. Our company reporting in mid-2008 said: “It’s a headwind with a high chill factor.” Property market adjustments were not immediate, particularly for leasing. By early 2009, we reported that the commercial investment property market was robust. Quantitative easing by central banks and sharply-reduced interest rates averted greater catastrophe. These measures made real estate investment incredibly attractive. The Official Cash Rate setting by RBNZ peaked in mid-2008 at 8.25%. By the new year, it was slashed to 3.5% and since November 2016 the OCR has been flat at 1.75%. Substantially benign interest rates are ingrained and for a decade have been a significant feature and driver for commercial and industrial property. The GFC caused previously hot conditions to cool. But followed by greatly reduced interest rates and optimism about stability, investment yields tracked down, and market values elevated markedly through until now. In addition to low interest rates, key drivers of property value since the GFC include new earthquake standards, new trends in workspace design and utilisation, growth of online retail commerce, council re-zoning, growth in food processing, and ‘social’ CBDs. Hawke’s Bay prime investment property yields by 2016-17 were historically low at 5-7%. Property values may be moving out in 2018 with increasing differentiation for property features. The Park Mega Centre Hastings’ investments, at combined annual rent $1.36M, sold very strongly in August. Hawke’s Bay office property in 2008 had a 2000s hangover. The office market was slightly oversupplied with new buildings leaving old in their wake. Adding insult to injury was a pause in state-sector office demand, following a changing-of-the-guard to a National-led government in 2008 with its post-crisis belt-tightening. Canterbury earthquakes in 2010 brought into focus the Building Act 2004. It led to occupier migration to seismically better-rated offices, triggering a development boom for Napier-Hastings. Significant CBD renewal occurred, and existing offices stock oversupply was accentuated. Napier City Council in 2017 decamped for buildings’ seismic safety reasons. The NCC and IRD office vacancy absorptions and civic buildings potential redundancy tilted the Napier offices equation to much-reduced supply. The popularity of open plan offices and office hubs has increased, leading to decreased office space per-person, and this has been assisted by technology-enabled mobility. It is expected that office utilisation rates will intensify further. Office stock increases are still likely however, with economic expansion. Government decentralisation, and possibly larger government, may increase office demand. This occurred under Labour 1999-2008. 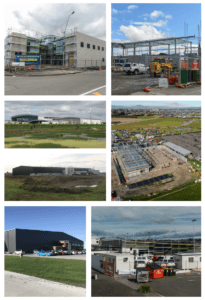 CLOCKWISE FROM TOP: Hastings Health Centre; NZCU Baywide, St Aubyn’s Street, Hastings; Hastings Sports Park; Hawke’s Bay Airport (photos: Tim Whittaker. tim.co.nz); Sunfruit, Irongate; Apollo Foods, Whakatu; Delegat Winery, Twyford, March 2018 (photos courtesy Turley & Co Ltd). The industrial sector in Hawke’s Bay suffered an almost deafening silence for well over a decade. Industrial property from the 1990s to mid-2000s crawled along and was dominated by dowdy tin-shed stock. Napier and Hastings were overdue, if not begging, for an industrial sector metamorphosis. The uptick spurred by pre-crisis expansion produced Hawke’s Bay industrial buoyancy 2003-08, with many substantial new buildings added. Considerable rent rates divergence existed for old compared to new buildings. In the pre-crash boom and particularly over 2006-08, industrial premises rents generally elevated locally, and by 10-30%. By mid-2008 however, industrial property investments were being passed over by investors. But the post-GFC buyer-seller stand-off was short-lived, given massive downward adjustments to interest rates. Hawke’s Bay’s industrial property sector by 2017 was the strongest it had been in decades. Hastings District building consents jumped 18% from $77m in 2014-15 to $91m in 2016-17. 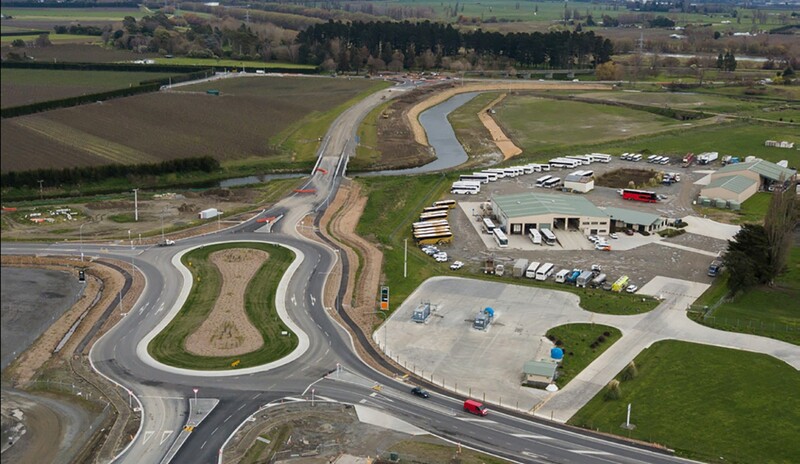 Heretaunga’s food production success has led the industrial property boom. The consents value for the five largest food-based, or related industrial developments in 2016-17 was $68m, plus land and plant. Hastings District Council this year confirmed its long-planned rezoning of 181 hectares at Irongate and Omahu Roads. The newly-zoned industrial supply is enough for about 360 developments of 0.5 ha gross, which is enough for new industrial buildings of circa one million square metres. Napier’s high proportion of industrial ground leasehold property is due to the former Harbour Board’s land leasing, which includes pre-1931 seabed. Industrial leasehold land development used to be economically popular, but landlords, including councils, have killed the golden goose through rent reviews that are out-of-sync with low interest rates and other economic factors. The retail property sector 2008-18 is its own story. In 2008 Turley & Co reported 10-15-year lows for Hastings’ prime retail vacancies with impressive rent growth. Upper Emerson St Napier 2003-08 featured short-supply and was chased hard by national and Australasian retailers. By 2008 prime Napier main-street rents had spiked 15-35% during the previous 24-36-months. There are now fewer local businesses occupying Napier’s high-street, but it is performing very well. The Amazon-isation of retail is a gamechanger. The dominant retailers employ dual strategies, involving online retail and physical stores. Examples of multi-channel retail in Aotearoa include The Warehouse, Noel Leeming, Kathmandu and Rebel Sport. Town centres or CBDs are increasingly cultural places to congregate; around cafes or for evening hospitality and entertainment. Napier and Havelock North are performing well day and night. Hastings is planning CBD design and connectivity reworks with a budget of $4.5m plus potential land acquisitions. The question being: what is in store for local commercial-industrial property in 2018-2028? Food production success and its water and environmental issues are increasingly major topics. Land use adjustments and compliance will have influences for the local economy. Hawke’s Bay Regional Council proposes to invest at least $30m and perhaps another $100m in soil conservation, tree-planting and biodiversity. Technology is a major influence and is sometimes a commercial-industrial property aid and disrupter. The digital tide is surging. Rapidly advancing digital technologies will continue to affect how retail, office, and industrial property is used and competitively leveraged. Office real estate is expected to continue trending away from traditional forms, with higher density, and ongoing decentralisation, which will challenge CBDs. Their vibrancy, if robust, should continue to attract office occupiers, maintaining or adding life. This could be enlarged by new government activity. The industrial property sector will remain production-economy led. Hawke’s Bay is well-positioned relative to trends globally for food. The outlook is excellent. The adoption of artificial intelligence and robotics will leverage expansion and increase the efficiency of industrial real estate. Industry will likely use proportionately less real estate, but with increased buildings overall. The tandem strategy of retail big-players, involving virtual and physical stores, will undoubtedly expand. Retail distribution warehouses will probably still be uncommon regionally. Number One Shoes at Whakatu is a local exception. The success of local CBDs will be more about quality-of-place for a social experience and personal contact. Inner-city living, complemented by more hotels or hotel apartments, could be in play by 2028. We can also expect more hospitality businesses. There is great potential for a virtuous cycle, with considerable uplift for central Hastings and all CBDs locally. The possibility that interest rates could remain extremely low for another ten years seems far-fetched. On the other hand, regional NZ population gains are very likely. Hawke’s Bay and CHB could out-perform most other regions during 2018-28. The factors most likely to be a driving force for Hawke’s Bay commercial-industrial property conditions over the next decade are interest rates, population, food-production, water, environmental issues and new digital technology. One thing is certain … property values and trends will remain a key barometer of overall economic health. Through the Lens: a view of the Bay’s latest architectural awards.